Yale Blue is deeply ingrained in the culture of the university and has served as a key institutional identifier since the late 1800s. It is the most appropriate base or accent color for projects originating from the university. Alternate blues are also suggested for uses for which the official Yale Blue is not suitable for technical or aesthetic reasons. Designers and printers should refer to the “Yale Blue swatch book” for ink formulation and color matching on press. Copies are available from the Office of the University Printer or Yale Printing & Publishing Services. Note: Color swatches on this page may appear to vary when viewed on different computer systems, and color printouts from this page will not be accurate. For accurate color matching, please refer to the official “Yale Blue swatch book” and the specifications below. Yale embraces design that effectively communicates content. Designers are encouraged to establish a base color (generally black or Yale Blue) and to introduce additional color purposefully to differentiate text or image content—not merely to decorate it. Although advances in print technology allow more colors for the same price, working within a limited palette of one or two colors better reflects Yale’s clarity of purpose. Official Yale Blue can be specified for use as a spot color or as a process color by following the specifications outlined below. When Yale Blue is printed as a solid color, an inline application of varnish or aqueous coating must be applied to prevent “bronzing.” See additional technical guidelines in the “Yale Blue swatch book,” available from the Office of the University Printer or Yale Printing & Publishing Services. Ask your designer and printer to match the official swatch book color, or specify Superior Printing Ink Co.’s Yale Blue ink formula, HB 6254 (for coated paper) or HB 6255 (for uncoated paper). Specify an inline aqueous coating or varnish for all jobs with areas of solid color to prevent bronzing, reduce rub-off, and ensure an acceptable color match. Because of differences in paper, ink, and equipment, these process build percentages are provided as general guidelines only. Ask your designer and printer to match the official swatch book color. Specify an inline aqueous coating or varnish for all jobs with areas of solid color to prevent bronzing, reduce rub-off, and ensure an acceptable color match. If the specified superior Superior Printing Ink Co. formula cannot be obtained for conventional printing, use PMS 648C for printing on coated paper and for all inset and silkscreen projects. For conventional printing on uncoated paper, use PMS 295U. Consult with vendor to determine the choice of ink for coated or uncoated use before providing a digital file. For projects requiring a paint color match for Yale Blue, use Benjamin Moore 2064-10 Bold Blue or ask your vendor to match the official swatch book color. Yale Blue should be used as a spot color for official stationery, banners and signage, brochures, and single-color publications. Yale Blue can be used by itself or in combination with other colors. Yale Gray is a recommended companion for Yale Blue in official Yale publications. Departments may choose other colors to complement Yale Blue according to the content at hand and the objectives for the project. Yale Blue should be utilized for Yale websites as either a primary or secondary color. See the “Web” area of this site for additional information. 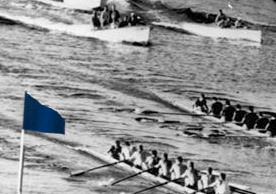 Variations on Yale Blue, of both higher and lower intensity, should be used in situations in which the official Yale Blue would be formally ineffective. For example, when pairing Yale Blue with black in a print publication, a higher-intensity, brighter alternative (PMS 660) will contrast more distinctly with black. A lower-intensity blue (PMS 654) may work better when paired with brighter accent colors. A Yale Gray is specified for use with black-and-white printing or for when a more neutral element is needed in a design. See the “Web” area of this site for additional recommended colors for Yale websites.